The icon's birthday is June 10 and the hotel is celebrating in style. Many upscale hotels attract a famous clientele, but few can claim to be the home of an icon like Judy Garland. The star, best known for her role as Dorothy in “The Wizard of Oz,” stayed -- and even lived for a period of time -- at Boston's Lenox Hotel over the course of 35 years. In honor of the star's June 10 birthday, the hotel shared with "Good Morning America" photos of the suite named for the star and the plans for her posthumous birthday celebration. (Lenox Hotel) A replica of the famous ruby slipper sits atop the fireplace in the Judy Garland Suite at the Lenox Hotel in Boston. (Lenox Hotel) Room 423 at the Lenox Hotel is the Judy Garland Suite. Suite 423 was Garland's suite of choice. According to the hotel, she "first fell in love with the Lenox in 1939 while on a promotional tour for MGM, and the legendary singer would return to the same suite throughout her life - including stays in 1961 when she appeared at the Boston Garden in front of a sell-out audience, in 1965 when she called the suite home for over three months, in 1967 when she gave a memorable live performance on The Boston Common heard by over 100,000 people, and shortly before her death in 1969." 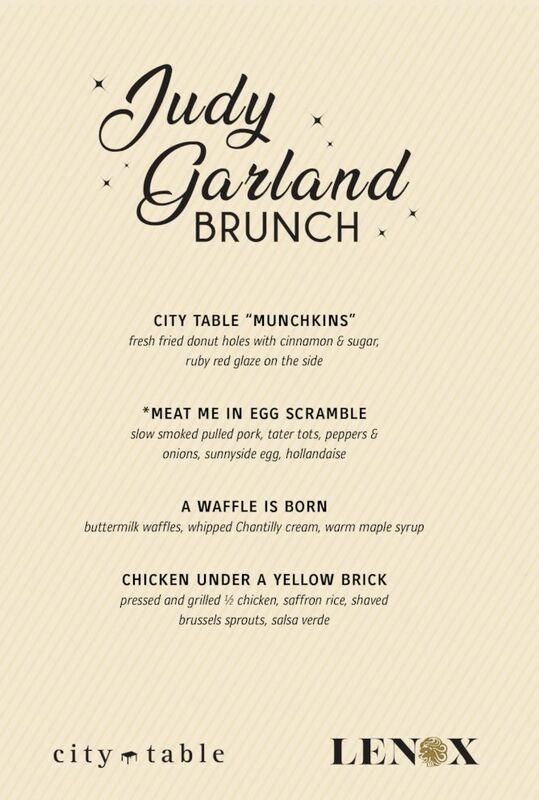 (Lenox Hotel) The Lenox Hotel will celebrate Judy Garland's birthday on June 10 with a special brunch menu. (Lenox Hotel) Exterior photo of the Lenox Hotel in Boston. 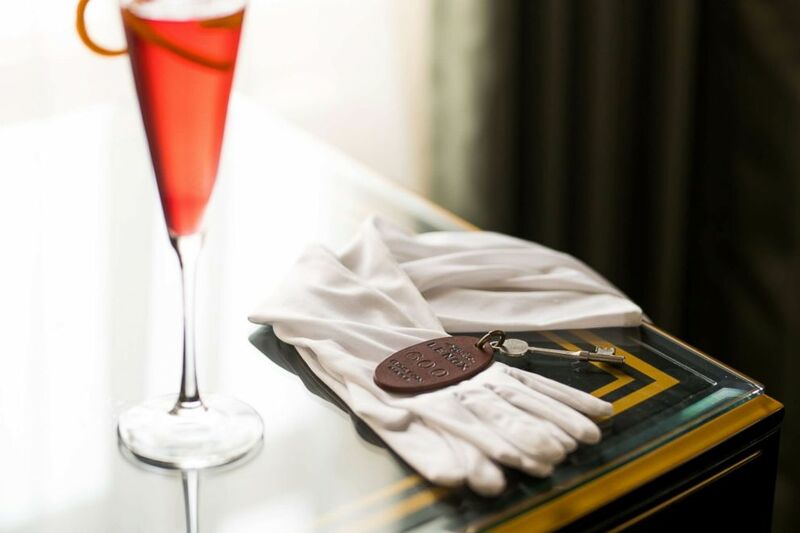 (Lenox Hotel) The original room key of the Judy Garland Suite is pictured with a celebratory cocktail. The apartment-style suite is 650-square-feet and features a relaxation area, pillow top king size bed, a lavish marble bath and overhanging vintage crystal chandelier. It was restored in 2008 for $300,000. 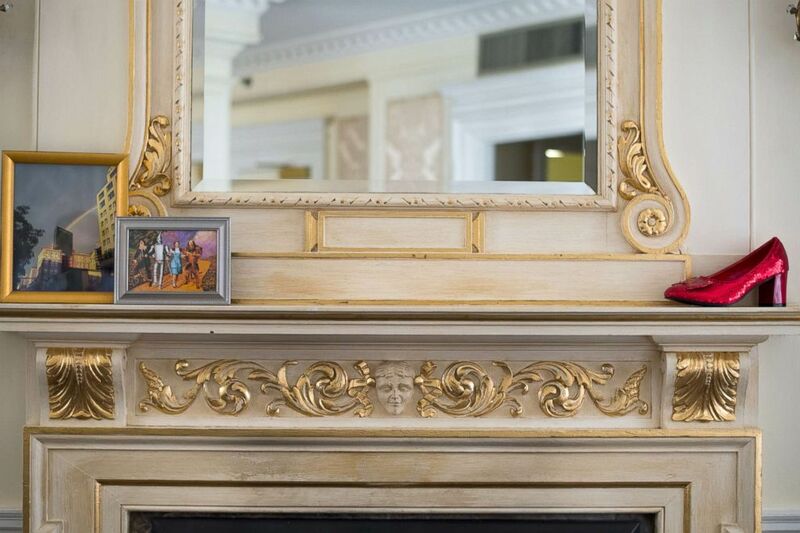 The suite's mirror is "the original mirror that the divine diva gazed at during every stay," according to the hotel. 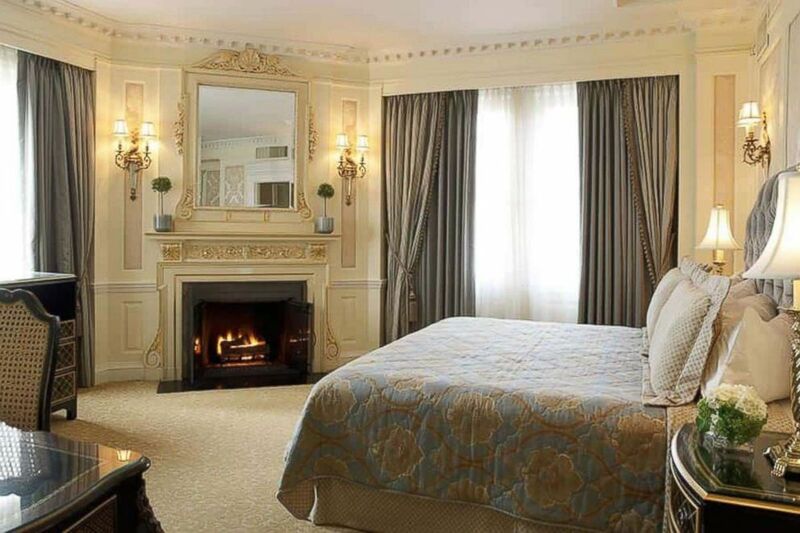 (Lenox Hotel) The bedroom of the Judy Garland suite. 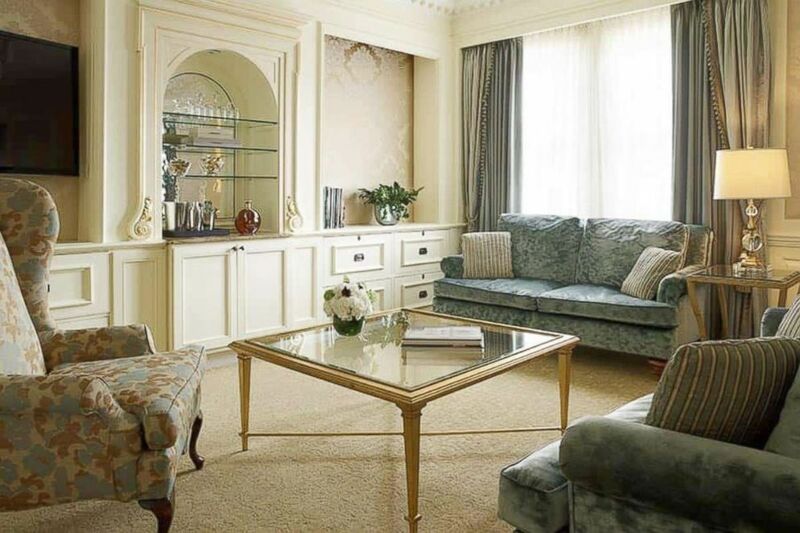 (Lenox Hotel) Inside the Judy Garland suite at the Lenox Hotel in Boston. 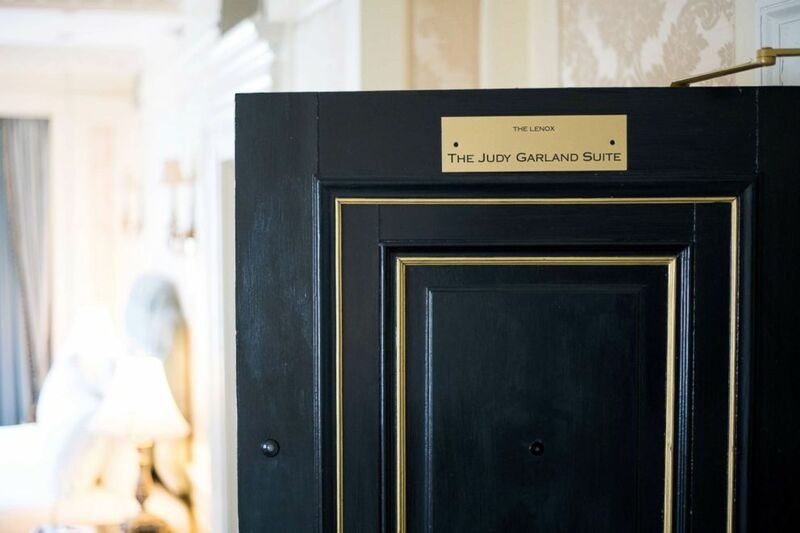 Momentos from Garland's films will be displayed throughout the hotel and a Judy Garland-themed brunch at City Table, the hotel's in-house restaurant, will be offered. 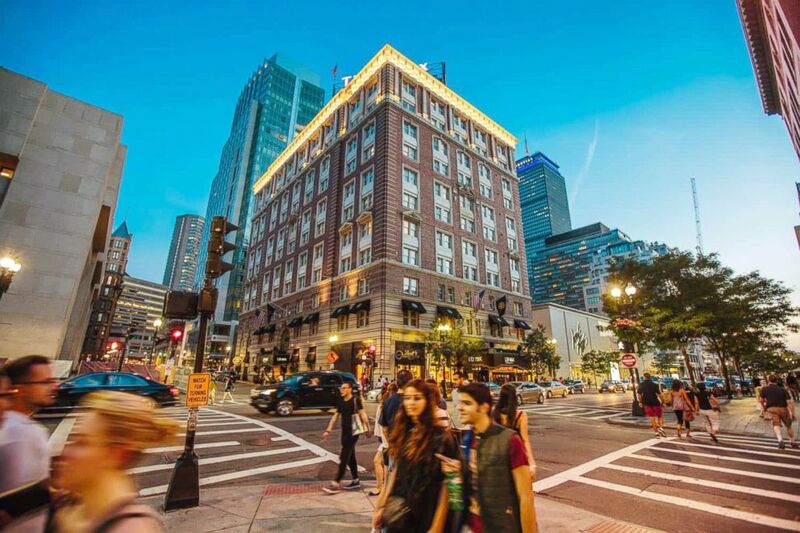 Boston's Lenox Hotel, located in Back Bay, overlooks the finish line of the Boston Marathon. The Judy Garland suite is priced from $400 per night.